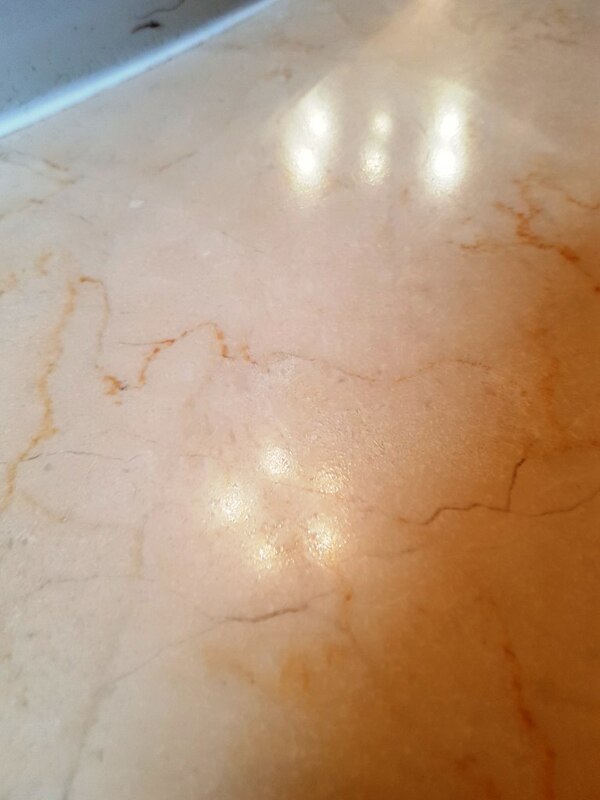 Although most of the work we do involves floor cleaning you should know we also cover stone worktops in Kitchens and countertops in bathrooms. An example being this opulent bathroom with Marble countertops that surrounded the sink and bath. The bathroom was installed at a house in the up-market area of Bowden which together with the villages of Hale and Hale Barns are regarded as being the wealthiest parts of Greater Manchester. The customer had got in touch to ask if we could restore the appearance of the Marble surrounds which had become dirty and etched through general use. 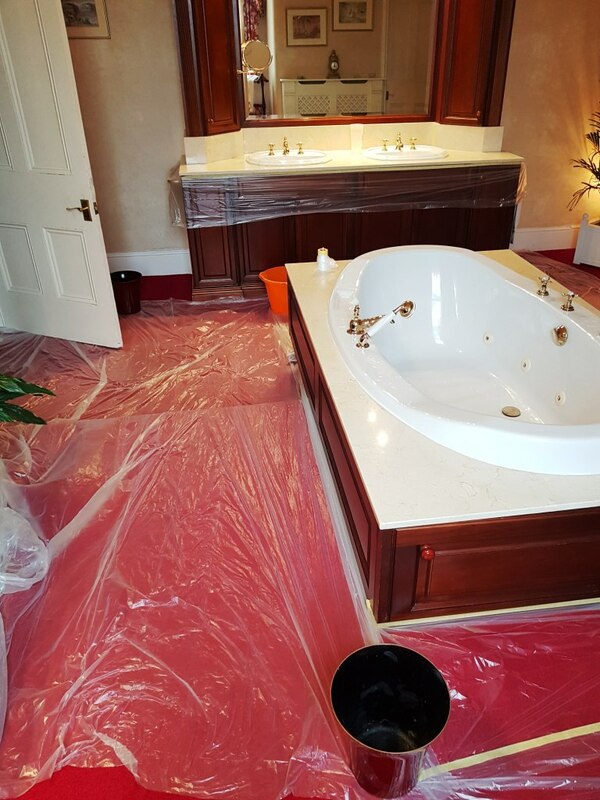 My first job was to protect the wood panelling and lush red carpet that surrounds the bath, once all was protected we started to use a set of tile doctor six-inch burnishing pads to clean the Marble and restore the polish. 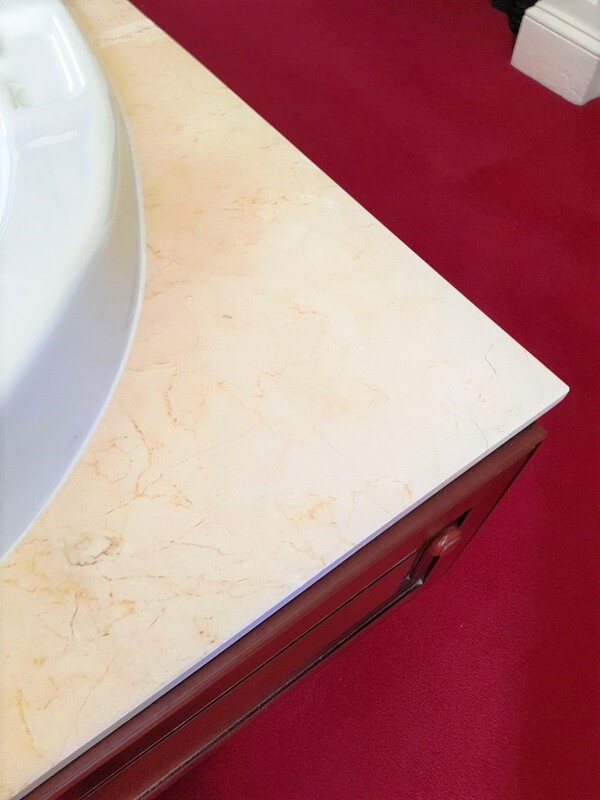 The Burnishing pads come in a set of four and are applied to the stone with a little water in sequence from the coarse 400 grit pad which removes etching and then through the medium 800-grit, fine 1500-grit and finally the very fine 3000-grit pad which restore shine to the Marble. I use a hand-held buffing machine to do this and carefully rinse in-between each pad to remove the small amount of slurry which is generated. The last 3000-grit pad is applied with just a spay of water using what we call a spray burnish technique, this also has the benefit of leaving the stone dry which is exactly how we need it for the next step in the restoration process which is applying a sealer. 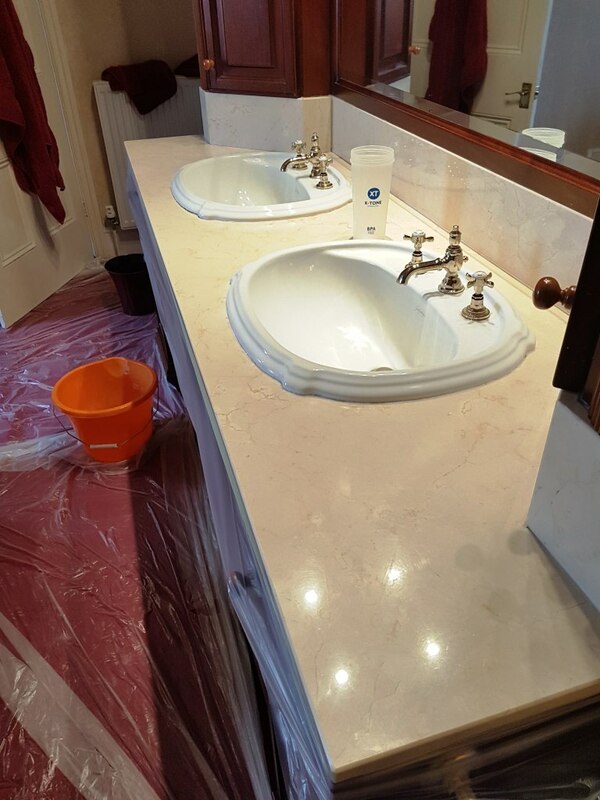 To finish off the restoration, I proceeded to seal the Marble tops with Tile Doctor Ultra Seal which is an impregnating sealer that soaks into the pores of the stone protecting it from within. I should add, Ultra Seal is a natural look sealer that doesn’t change the colour of the stone. The sealer is applied with a soft cloth, left for five minutes and then the excess is polished off with a soft cloth. We also replaced the silicone sealant around the bath and wash basins and once we were finished the bathroom looked newly installed. 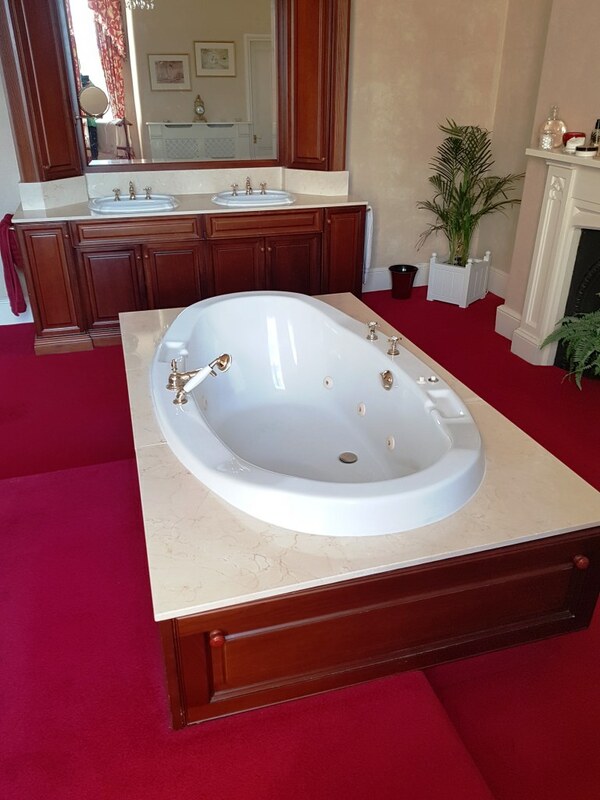 The customer was over the moon that we brought life back to her impressive bathroom.